The Wolverine State provides residents and guests with something new and exciting to do in every season. Whether you are an outdoors enthusiast, thrill-seeker, beer connoisseur, or history buff, you’ll find it here in Michigan. While spring, winter, and autumn pack in unique experiences year-round, summer in Michigan is tough to beat with the pleasant temperatures, sunny days, and endless opportunities to enjoy the great outdoors. For a complete list of attractions and activities in our great state, request our free Vacation Guide! Michigan’s Upper Peninsula is an adventurers paradise, with endless stretches of remote, untouched wilderness. The Porcupine Mountains, Marquette area, and Pictured Rocks National Lakeshore all provide fantastic hiking paths and experiences. If you’re looking for a full day trip, take the ferry to Isle Royale National Park and traverse the Greenstone Ridge Trail for a challenging hike. Bring out the bikes for a beautiful summer day in Michigan! The UP has plenty of biking trails weaving through the unbridled wilderness. Marquette, Munising, Gladstone, and Houghton all have paths that branch out from the center of town, and the Porcupine Mountains also have a great variety of trails traversing the rugged terrain. Take the ferry to Mackinac Island for an exciting journey back in time. A mix of 1920s glamour from the Grand Hotel and charming town mix with the days of the old frontier at Fort Mackinac. This 18th-century fortress is a great place to take in a sunny summer day in Michigan as you take in stunning views of Lake Huron and the Mackinac Bridge. The village of Charlevoix looks as if it’s merely a small town sitting on Lake Michigan, but if you dig a little deeper, you’ll find some incredibly interesting and bizarre sights. Architect Earl Young built a series of mushroom-shaped cottages around the city, each with a unique design. Take a walking tour of the area to explore these odd structures, and you’ll also discover why Ernest Hemingway spent summers in Charlevoix. It’s a charming place to enjoy a sunny Michigan summer day. Scuba diving is probably not the first thing that comes to mind when you think about Michigan. Well, think again, because there are plenty of shipwrecks lying along Lake Huron’s floor in Thunder Bay. Check out Thunder Bay Scuba and Great Lakes Divers for guided tours and lessons. Fishing enthusiasts will love spending a day along the banks of the Au Sable River on their trip to Michigan in the summer. This is one of the top trout fishing destinations in the world! Michigan’s Adventure is a great place to enjoy a summer day, especially if you have kids with you. You can cool off on the water slides and attractions after spending the first part of the day in the rollercoaster section of the park. Known as Beer City USA, Grand Rapids is a must-stop for craft beer enthusiasts. Founders Brewing Company, Brewery Vivant, and Gravity Taphouse Grille are just a few places to enjoy a vivacious variety of brews. Go for an adrenaline-pumping ride up and down 200-foot sand dunes along the Lake Michigan coastline with Mac Wood’s Dune Rides. These 40-minute rides in extended, open-air trucks are perfect for thrill-seekers and families alike! There’s nothing quite like spending a day (or more) of your summer vacation in Michigan at the beach. West Michigan has a long list of great beach towns where you can relax on the sand and take a dip in the lake. Check out Grand Haven, St. Joseph, Holland, and Saugatuck for a classic small-town experience. Book Your Michigan Summer Vacation With Us! 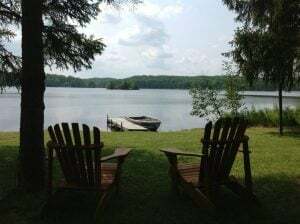 Whether you want to explore the wild and untamed lands of the UP, relax and rejuvenate in peaceful Eastern Michigan, step back in time in Northern Michigan, or experience thrills in West Michigan, Freshwater Vacation Rentals has the perfect home for you! Peruse our list of vacation rental homes where you’ll find everything from single-family cottage to an 18-person family gathering! Check out all of our properties to start planning your Michigan summer vacation today! We can’t wait to welcome you to the Wolverine State!